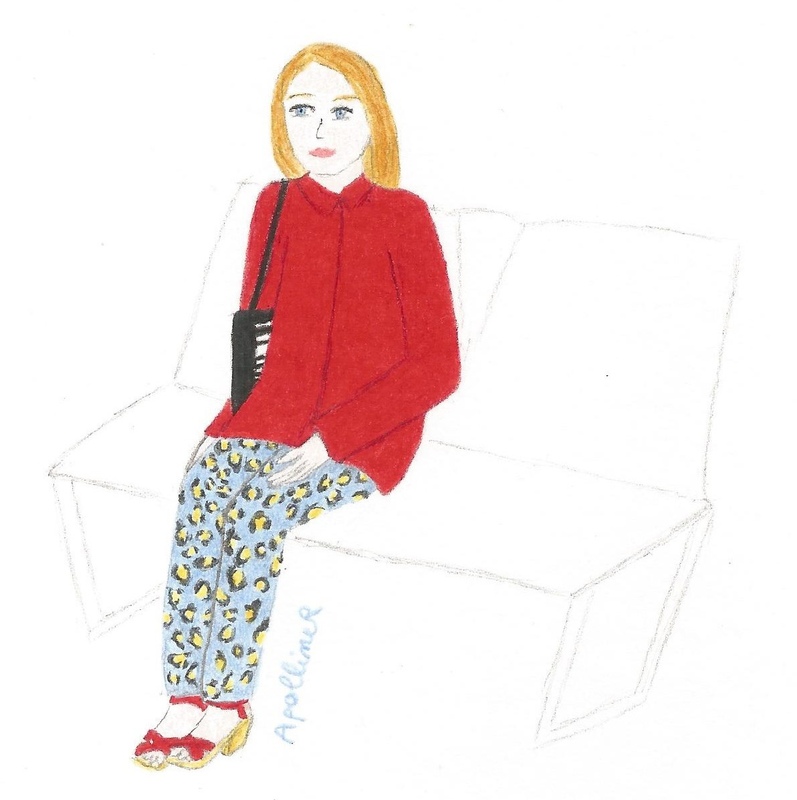 I’ve drawn a girl spotted in Paris Métro. She was wearing red peep toe clogs (looking like Swedish Hasbeens), a bright red jacket and blue leopard print trousers. I find that this bold association looked nice on her. This entry was posted in Fashion and tagged drawing, Street style by ApollineR. Bookmark the permalink.